A stunning rare cloud formation, also known as the ‘morning glory’ cloud, has been captured on film by an airline passenger traveling across Australia. 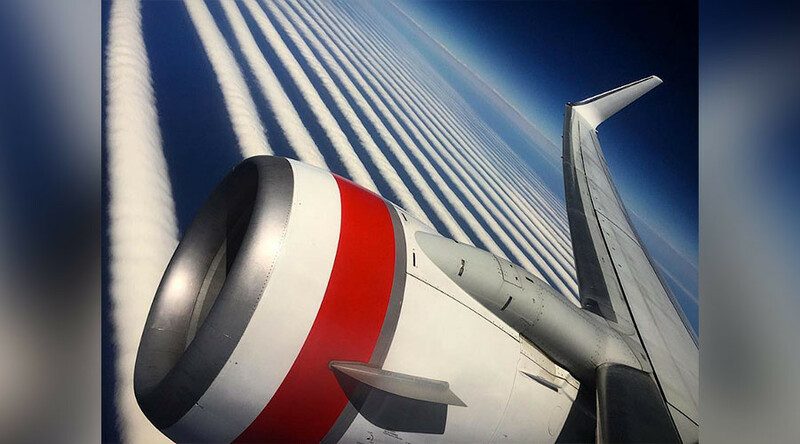 “The most unique cloud formation I have seen to date on route from Perth to Adelaide somewhere over The Great Australian Bite,” passenger Ilya Katsman said on Instagram, referring to the coastal area of southern Australia. The clouds are usually seen in the northern Australian gulf between September and November, where “morning glory” clouds can extend for up to 1,000 kilometers. “Wave clouds form in a stable atmosphere where the cloud itself isn’t able to develop into a vertical state because it is in the air that is cooler around. As it descends, the warming process that naturally occurs causes this bouncing effect of the air and until that is flattened out you get these rolls of cloud that are evenly spaced,” Bennett said. Moving at high speeds, the clouds provide a unique playground for experienced hang gliders who can ‘surf’ them.